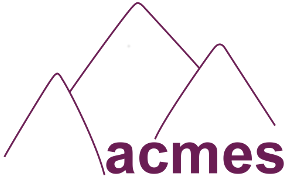 ACMES is being held from Thursday, May 12th to Saturday, May 15th in room 110 of Middlesex College (MC). Coffee breaks will be held in MC room 260. Participants are invited for lunch (uncovered) at the Grad Club on the ground floor of Middlesex College. The Department of Applied Mathematics is located on the second floor of Middlesex College. The Rotman Institute of Philosophy can be found on the second floor of Stevenson Hall. Attended parking is available on campus at the Weldon and Alumni/Thompson lots for a flat rate of $7.00. Note that the lots are attended from 7:00 am to 4:00 pm. Further information is available here. 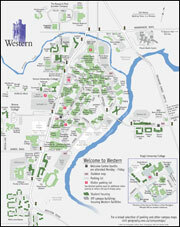 Click on the campus map above for the location of Weldon and Alumni lots (indicated in green). Coin-entry parking is available on campus at the Medway lot for $6.00. Further information is available here. Click on the campus map above for the location of Medway lot (indicated in green).